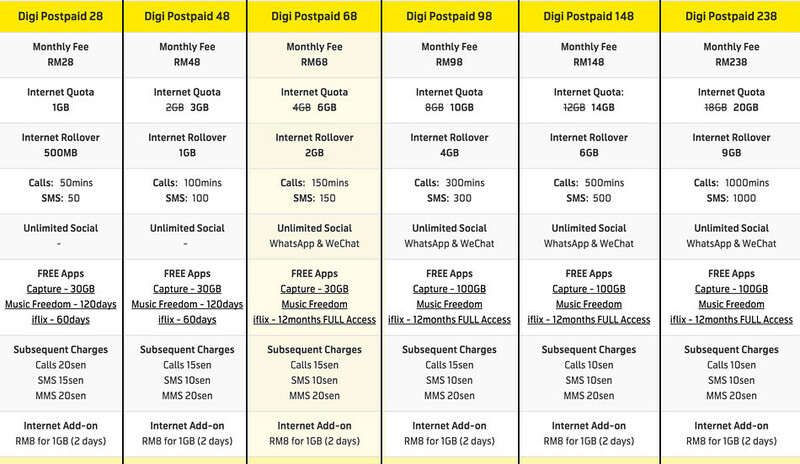 Whether or not Digi’s new move to revamp it’s postpaid plan is to counter Celcom’s First Gold plan, we are liking what we see here. 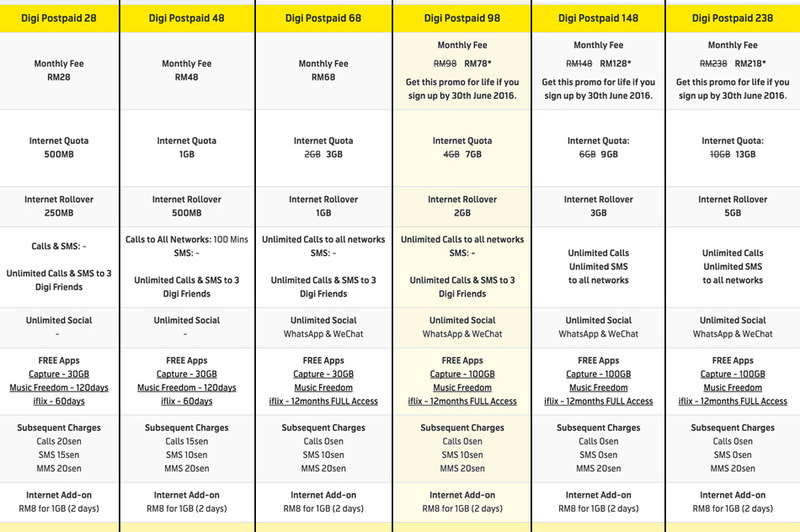 Generally, the postpaid plans come in 2 types: [More Calls & SMS] and [More Internet]. Both plans now get more data and they also introduced Internet Rollover feature for users to carry forward unused data to the next month. Looking at the plans above, if you want more calls and sms, we think the RM78 plan is good as you get unlimited calls & SMS, 7GB of data and Internet rollover limit of 2GB. If data is all you need, then based on this chart above, the RM68 plan is perfect as it gives you 6GB or data and Internet rollover limit of 2GB. You will get 12 months of iFlix free as well. Note that the highest 3 packages under “More Calls & SMS” is only applicable if you sign up before 30th June 2016. Besides these new plans, Digi has also updated their myDigi app to reflect the latest plans. The app now also displays detailed information on the mobile data and Internet Rollover quota, real-time Internet usage, and options to purchase additional mobile data quota.